TYJW1 is a Wi-Fi module developed by Hangzhou Tuya Information Technology Co., Ltd. to adapt to serial port communication at the 5 V TTL level. It consists of a highly integrated radio frequency chip (ESP8266EX) and an external flash chip, with a built-in Wi-Fi network protocol stack and robust library functions. TYJW1 is embedded with a low power-consuming 32-bit CPU, 1 MB flash, and 36 KB SRAM. TYJW1 is an RTOS platform that integrates all the function libraries of the Wi-Fi MAC and TCP/IP protocols. 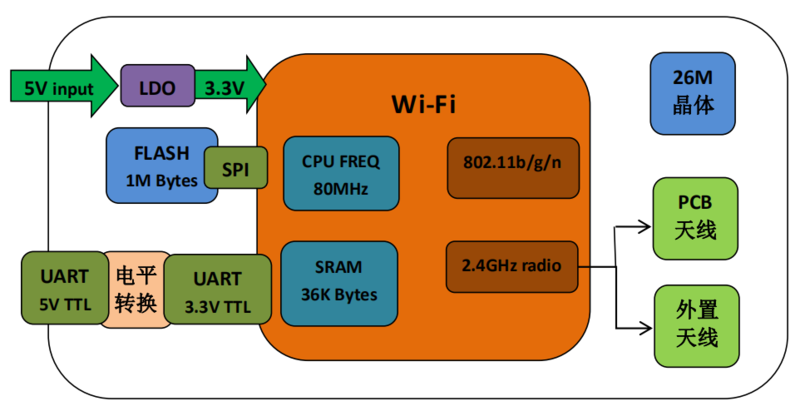 You can develop built-in Wi-Fi products as required based on the interconnection mode of serial port communication. Figure 1 shows the schematic diagram of TYJW1. The TYJW1 electrical interface is a PHS connector with a pin spacing of 2.54 mm. If I/O0 is disconnected, the module runs properly. If I/O0 is in low level, the module is in the firmware programming state. ​ RST is only a hardware reset pin of the module, which cannot clear the Wi-Fi network configuration. ​ Test pins are not recommended. TYJW1 supports onboard PCB antenna and external antenna. By default, the onboard PCB antenna is used. To connect to an external antenna, contact Tuya sales personnel. 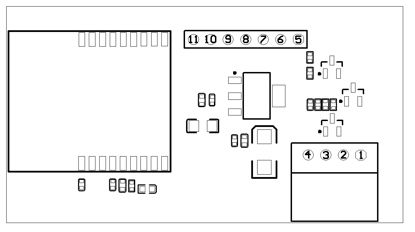 When using an onboard PCB antenna on a Wi-Fi module, make sure that the antenna on the module is at least 15 mm away from other metal parts to ensure optimal wireless performance. 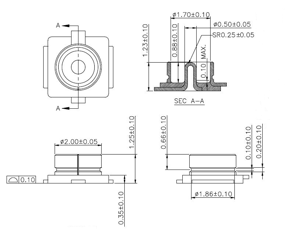 Figure 5.3 shows the U.FL RF connector parameters. 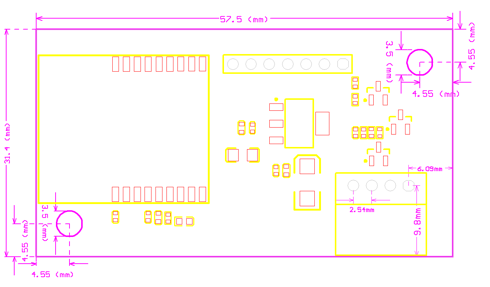 Note: The PCB frame tolerance is ± 0.15 mm, and PCB depth tolerance is ±0.1 mm. The anti-moisture bag must be placed in an environment where the temperature is under 30°C and the relative humidity is under 85%.